TRENT100 was born from a desire to create an adventure that offers a great challenge as well as the rewarding sense of accomplishment. A task that encourages the true spirit of adventure, that engages every part of your being and makes you feel alive. TRENT100 will require you to commit fully and work hard, pushing you both physically and mentally and forcing you in to the present moment, where nothing but the task at hand exists. After coming across The Five Elements of Adventure framework by Mark Walker we felt it well represented the experience we want to capture. The search then started for a stretch of water that would fulfil all the aspects of adventure – High Endeavour, Uncertain Outcome, Total Commitment, Tolerance to Adversity and Companionship. 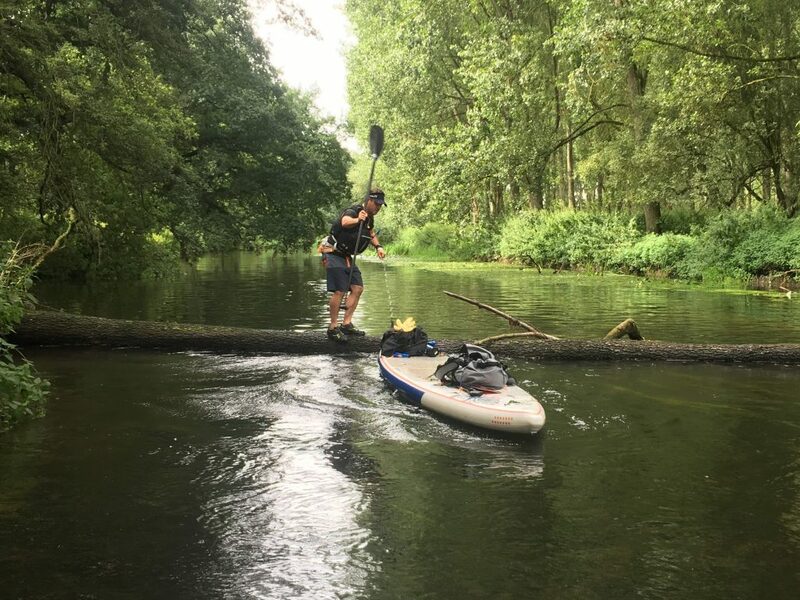 The High Endeavour to be undertaken is a challenge covering three counties, a part of the river Trent stretching 100km, that has never before completed in full by SUP. 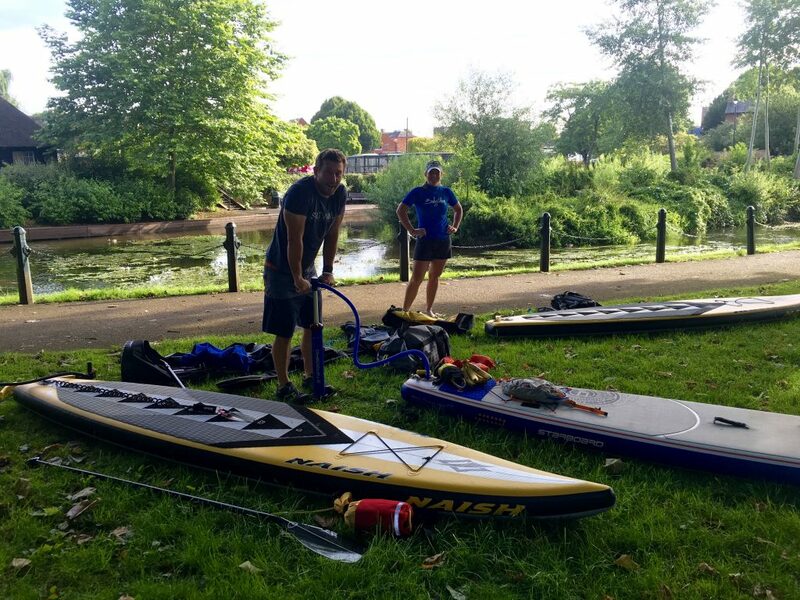 Your challenge is to, as a team, complete the paddle from the starting point in Stafford to Trent Bridge in Nottingham and for this to be done in 20 hours over two days. TRENT100 is not a race but a focus on adventure and the completion of the challenge set to you as a team. You will come across places of hidden beauty and experience a feeling of remoteness as you explore this part of the Midlands. The Uncertain Outcome, whilst we have a known end destination for our challenge there are many surprises along the way that present an opportunity for you to be flexible and innovative. The outcome is decided by you and your team by how you decide to face the course and how you tackle the obstacles along the way. In the same way that life is uncertainty this is an invitation to get comfortable with not always knowing what is around the next bend and to be aware and alert as you go on your journey. Your flexibility and adaptability will be tested and bring your creative adventurous side to light. Your Total Commitment is required for the duration as you and your team confidently move towards your goal. You work together and cease whatever comes your way as an opportunity to use old skills and learn new ones. To succeed you will need to give your full attention and total commitment to the present moment, with all your senses focused you are set to not only to achieve but to grow and accomplish. Your Tolerance to Adversity, your resilience will be tested. October promises highs of 11°C and lows of 4°C, fast moving water and the possibility of wind and rain. Along the route there are various things to watch out for and there will be moments along the way when you are faced with obstacles to overcome. This is where your willingness to stay open in your approach and a good sense of humour will go a long way. By facing what comes your way on the day and perhaps stepping outside of your comfort zone, as well as being able to have a good laugh with the likeminded people around you, will fill you with motivation and the capacity to pull together both as an individual and as a team. Companionship – you and your team. This is the bond that is ultimately going to get you there. There are numerous SUP events in the UK but our aim with this challenge is that instead of the focus on the individual it’s about coming together and achieve as a team. It’s not a race, it’s about completing a very challenging task and to experience this fully. The goal is for the team to achieve and the whole team has to complete the course together, start to finish. In coming together as a team we can inspire and motivate each other. Problem solving and finding solutions takes on a different form and occurs at a new level when the various skills, perspectives and experiences of the group as a whole is available. The TRENT100 challenge is set to aligning actions and values, challenging us to be the best we can be, both as individual and as part of a group and to have a great time with fellow adventures.